Congrats, you’ve made it through the onsite interview technical questions and now it’s time for the final step. The behavioral interview is important for interviewers to understand who you are and how you can fit into the culture of the company. We created a list of 45 behavioral interview questions so you can prepare for your onsite and nail it with confidence. Adobe question – Tell us about how you’ve dealt with unexpected changes to deadlines or project scope. Amazon question – Describe the project that you had the most trouble with. What would you have done differently? How do you defend your judgement to team members and stakeholders? Amazon (and many other companies) question – Which of the company values/principles is your greatest strength? Autodesk question – How would you handle a situation in which you were getting a lot of negative feedback in the middle of a presentation? Booking question – If you know there are 2 improvements that need to be made, but can only make 1, how would you prioritize? Docusign question – Talk about a time you failed and how you handled it. Dropbox question – What was the biggest takeaway from your current job that you’ll carry with you throughout your career? Expedia question – How do you keep your team engaged? Google question – Tell me about a time when you solved a conflict at work. Hubspot question – Give examples of situations where you have shown effectiveness, empathy, adaptability, & humbleness. Do you prefer to work with a team or on your own? IBM question – Why do you want to change jobs? Why now? Intuit question – Describe a situation where you had to lead a group that had difficulties. How did you handle it? LinkedIn question – Share an example of how you were able to motivate employees or co-workers. Netflix question – What do you like most about the culture memo? How do you fit in with our culture? How do you make a case for your vision and opinion? Oracle question – How do you stay organized? Do you find that you get overwhelmed often at work? How do you combat that? Pinterest question – Give an example of an occasion when you used logic to solve a problem. Rakuten question – Who has influenced you in your career? What advice would you give someone younger than you who is trying to come up in the field. Salesforce question – What would you do if you don’t know the solution for a certain problem and nobody can help at the moment? How do you move forward with stakeholders want to go in one direction but you don’t think that’s the right way to do it? How do you work with conflicting priorities? Slack question – Have you handled a difficult situation with a coworker? How? Spotify question – How do you experiment? Stripe question – How do you collaborate with others? What are your biggest weaknesses and strengths? How do you set people up for success? TripAdvisor question – What websites do you spend a lot of time on? Talk about a time when you had multiple requests from different people in the company. How did you handle them? Twitter question – What do you think is the most important responsibility that the team has inside the company’s mission? Uber question – What do you do if you disagree with your boss? VMWare question – Talk about a time that you failed. Talk about a time in your career where you made a mistake. What was the mistake, what were the results, and what did you learn from the experience? Workday question – Let’s say a project you are working on is on hold, and your PM has not assigned another project for you to do in the meantime. How would you spend your time while waiting for the project to pick up again? 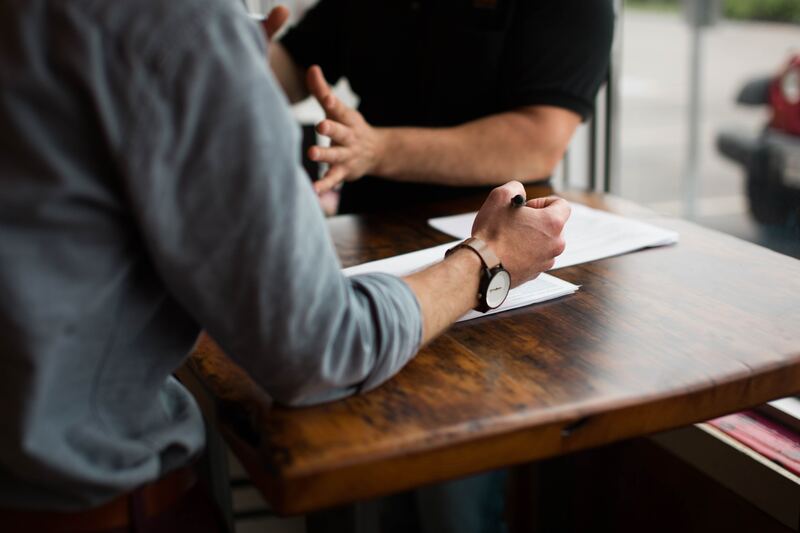 Practicing responses to these questions will be helpful for you before you walk into your behavioral interviews, but we also have some tips for you to follow so that you can nail your onsite behavioral interview. When crafting a response to “why this company,” keep this structure in mind: Mission or product first,approach or values second (ex: “Nobody else approaches it like you. You’re being more scientific than ever before”). Avoid perks, salary, and everything else. You don’t want your answers to be too long, so it’s helpful to know what to be specific about. Focus on numbers, context, reasoning behind decisions, technologies or algorithms, and examples. When it comes to taking credit, if you were on a team, use “I” to denote what your responsibilities were and be very clear and then use “we” to give your team credit for overall accomplishments. Alongside that, mention how grateful you are or how much you learned, to avoid sounding too much like you’re bragging. This is an opportunity for you to talk about the great work you’ve done. Even if the project wasn’t launched or it didn’t have the desired result, you don’t need to use negative language in your responses. Avoid overly pessimistic words like fail and disappoint, critical words like stupid or idiot, and self-degrading words like lazy or clueless. With these questions and knowledge at hand, you should be able to go into your behavioral interviews prepared and with confidence.